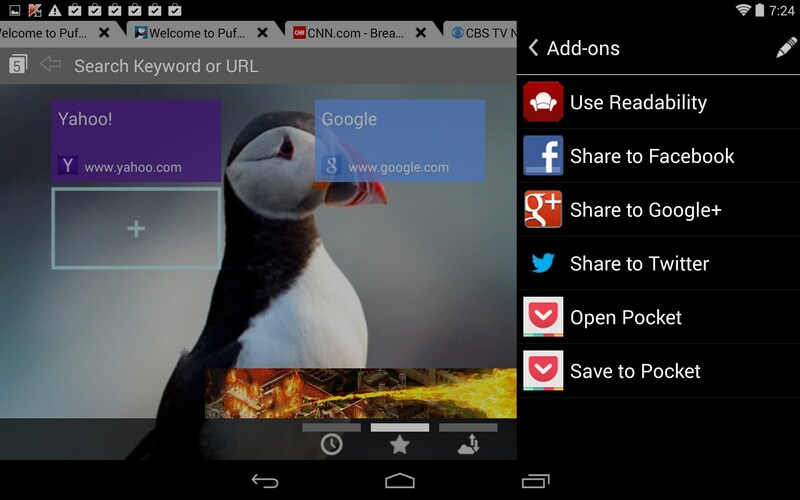 Puffin Web Browser – Soft for Android 2018 – Free download. Puffin Web Browser – Simply the best and fastest mobile browser I ever tried. 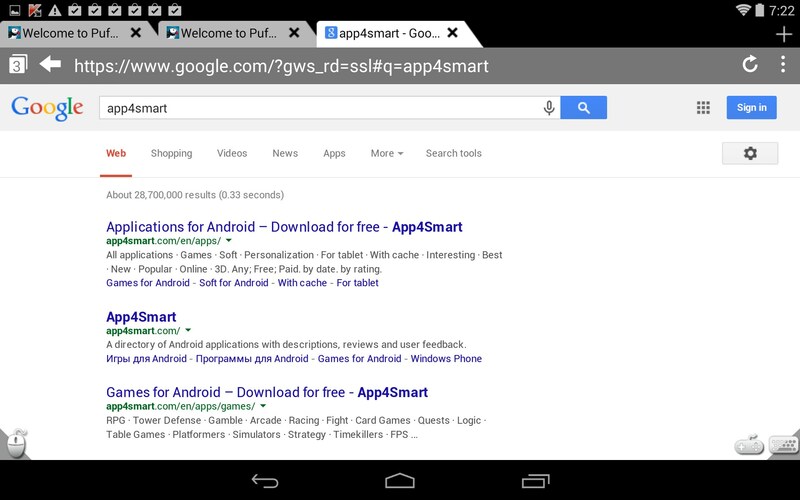 Puffin Web Browser for Android is, quite simply, the fastest mobile web browser I have ever used. It'll cost you a couple bucks a year in subscription fees, but the performance is unmatched. 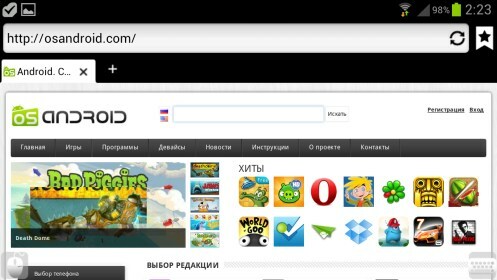 Puffin Web Browser isn't just hype. This literally is the fastest web browser you'll ever try. Even better, the layout and presentation is highly intuitive, user friendly and head and shoulders above any other browser I've personally tried. Yup, I'm gushing, because it's just that good. I love the interface because it's visually based. Saved bookmarks and open tabs all use a large visual screenshot of the webpage they represent, so it's super easy to identify which links and bookmarks you want on sight alone. Load speeds are ridiculously fast and rival my laptop. Graphic intensive sites loaded like a breeze and lightening fast. Pages populated near instantaneously and looked great. What's not to like here? The navigation controls are smooth and responsive. I literally encountered no hiccups of buffering issues. 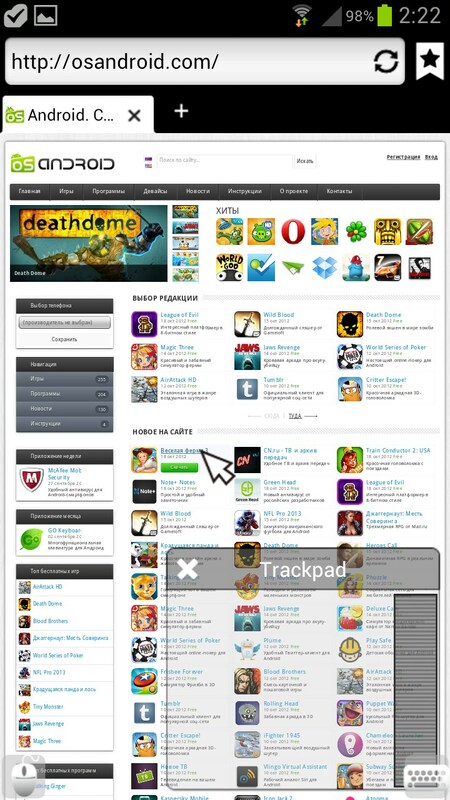 The interface is innovative and very user friendly. I loved the quick launch menu that pops out on the lower right of the screen, and all of the icons can be arranged and customized to your liking. The slide-out drawers on the left make accessing all your opened tabs a pleasure. And the drawer on the right has all of your most frequently used menu options available at a glance. The app features a day and night mode, and I prefer the darker option just because it makes the interface pop. The browser even features a trackpad so you can simulate cursor movement just like on a laptop computer. 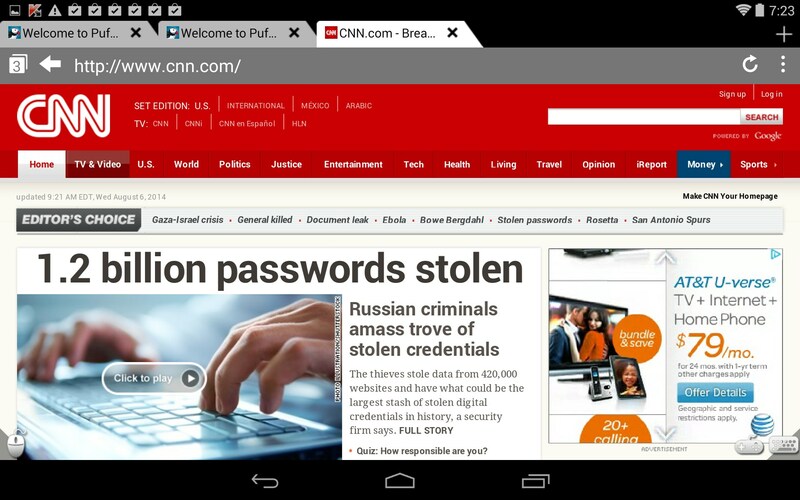 Puffin Web Browser is simply amazing. I can't say enough good about this awesome browser. Something in me resents the annual fee, however, the browsing experience is so pristine and pleasurable to use, that I truly can't imagine wasting my time with any other browser. I'm hooked. Has this been improved for Kindle Fire? I see the comment below, but also see it is from 2015. Unfortunately the app is not available for Kindle Devices at the moment and it is impossible to say when / if it will be made available. If there is anything else I can assist you with, please let me know. Chetori mitonam filter shekane puffin downloud konam? Ey joonam iranian GOL ke hamishe too gashtan donbale filter shekan parchameshoon balast. Bacheha nemirre che kar konam?? ?